Beginning on Earth Day, April 22, 2013, and continuing beyond National Volunteer Week, CommonKindness will honor the everyday heroes who donate their time and skills to make the world a kinder, gentler, and safer place for all its inhabitants. 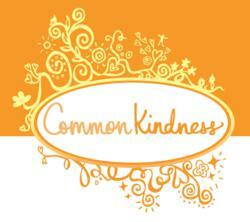 CommonKindness empowers shoppers to save money while helping others. Thousands of nonprofits—from the Red Cross to the United Way to P.A.W.S.—are benefiting from CommonKindness and have engaged their members. CommonKindness is the new free grocery coupon website that operates on the principle of kindness and benefits consumers, nonprofit organizations, and brands. CommonKindness is revolutionizing the online coupon industry by eliminating coupon loading and change costs, charging brands only for coupons redeemed, and giving 20 percent of revenues to nonprofit organizations of the shopper’s choice. To learn more, go to CommonKindness.com or call (415) 729-9658.